By now you should have at least one trigger saved. If you don’t, go back to the Simple Threshold Trigger page. If your Moira installation is configured with separate user accounts, you will see only your channels and subscriptions on this page. Otherwise, every user will see the same page with the same channels and subscriptions. Consult Security page for instructions on separating user accounts. Notification based on events generated by local trigger will contain graph with timeseries for the last 30 minuntes wheter is throttled or it was scheduled earlier because of subscription’s own time limits. Notification based on events generated by remote trigger will contain graph with timeseries for not less than 30 minuntes until last event occured. Otherwise first and last events times will form the window. 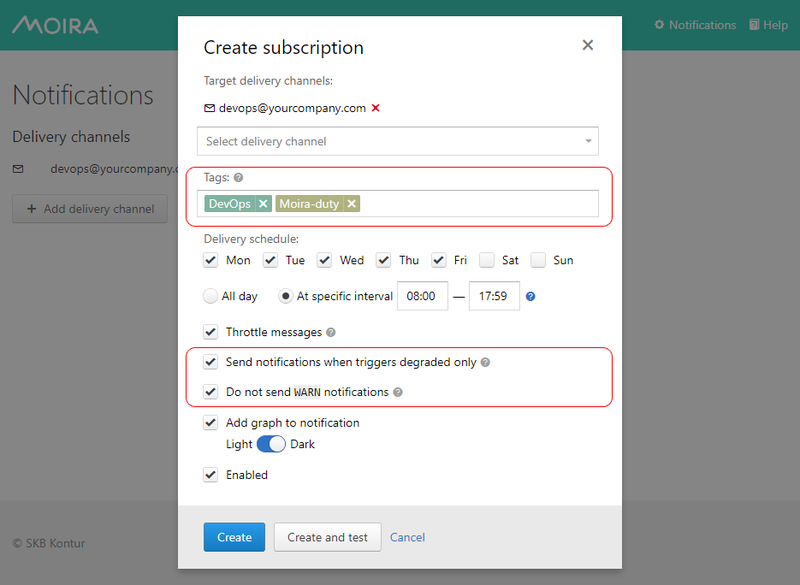 Add required tags into subscription to receive notifications from triggers with these tags. Matching rule is: Notification will be sent if trigger contains ALL of selected tags. 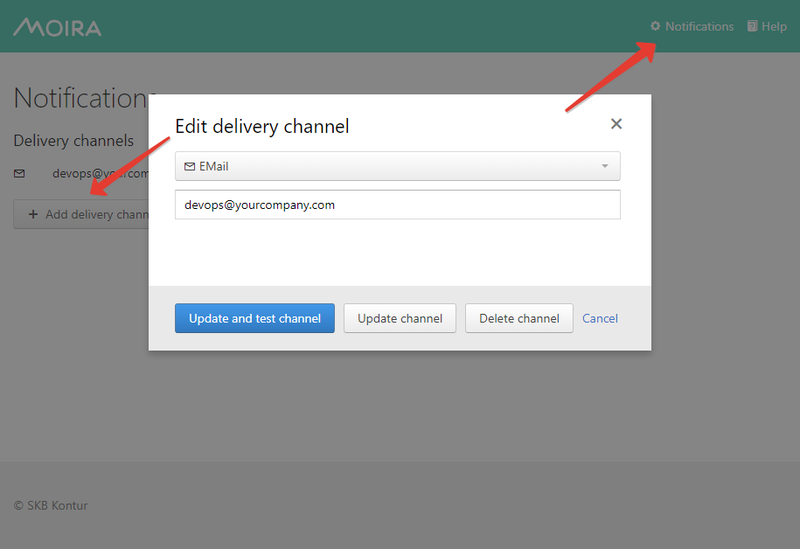 If subscription has only one tag, you will receive notifications from any trigger with this tag. If subscription has multiple tags, you will receive notifications only from triggers which include all these tags. You can just save your subscription, but if you want to be 100% sure it works, you should immediately test it. Dummy notification message will arrive shortly.